Review: Located on the shores of beautiful Lake Auburn, Central Maine Community College boasts a vibrant campus community that is committed to preparing students for challenging careers, lifelong learning, and transfer to four-year colleges. We offer more than 25 program areas, leading to technical, business, and health careers, as well as liberal studies and general studies transfer options . . . all this with the lowest tuition rates in Maine! 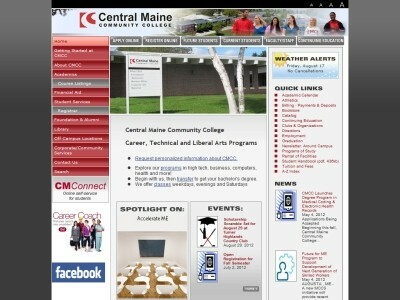 Location & access map for "Central Maine Community College"